Youth Speakers’ Tournament is designed to challenge teenagers to express their faith verbally. Youth grow spiritually when engaged in the research, study, prayer and practice of preparing a speech. Speakers will be ready to stand for Christ in church, school, community and work. Youth Speakers’ Tournament is for youth in grades 10-12 who are active members of a cooperating N.C. Baptist church. No exceptions are made to this requirement. 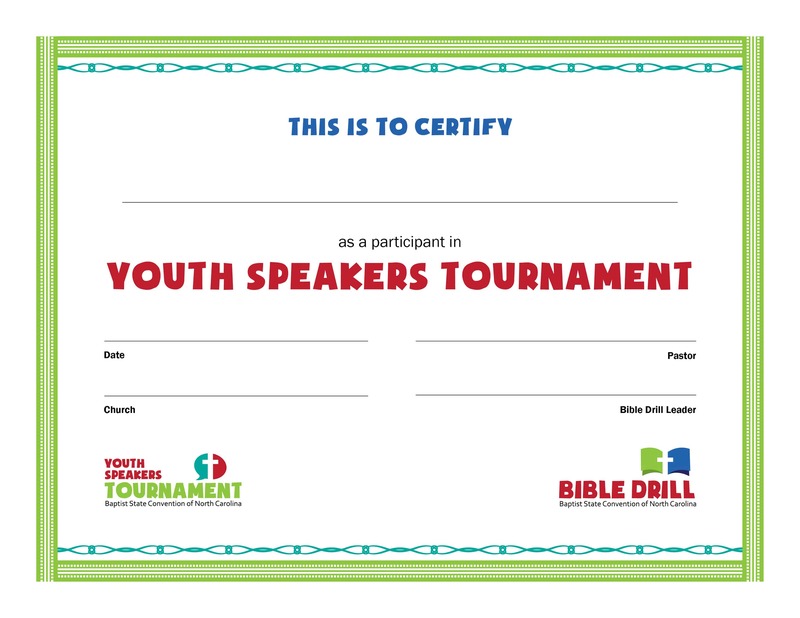 Youth may participate in either/both the speakers’ tournament and High School Bible Drill in a given year, presenting an original speech based on a topic from the list that year. The state winner from each state location will be invited to the state finalist tournament. The Finalist Youth Speakers’ Tournament selects the speaker who will represent North Carolina at the National Youth Speakers’ Invitational sponsored by the Southeastern Discipleship Group of cooperating Baptist state conventions. The winner of the Finalist Youth Speakers’ Tournament may not participate in future Finalist Youth Speakers’ Tournaments. 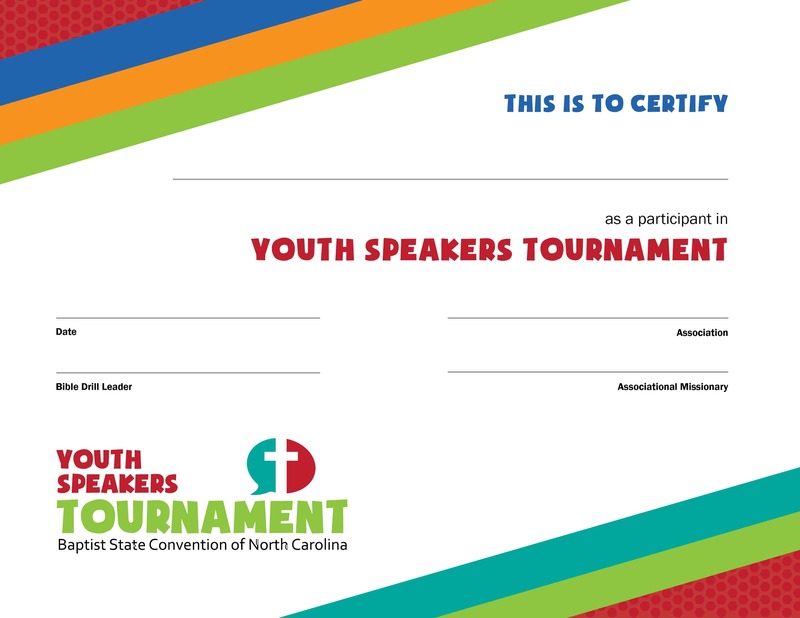 Only those finalists prepared, if they are the winner, to represent North Carolina at the National Youth Speakers’ Tournament should attend the finalist tournament. The finalist state winner will be awarded a $2,500 scholarship to any college of their choice. Get the latest news and event information from Bible Drill by signing up for our newsletter.